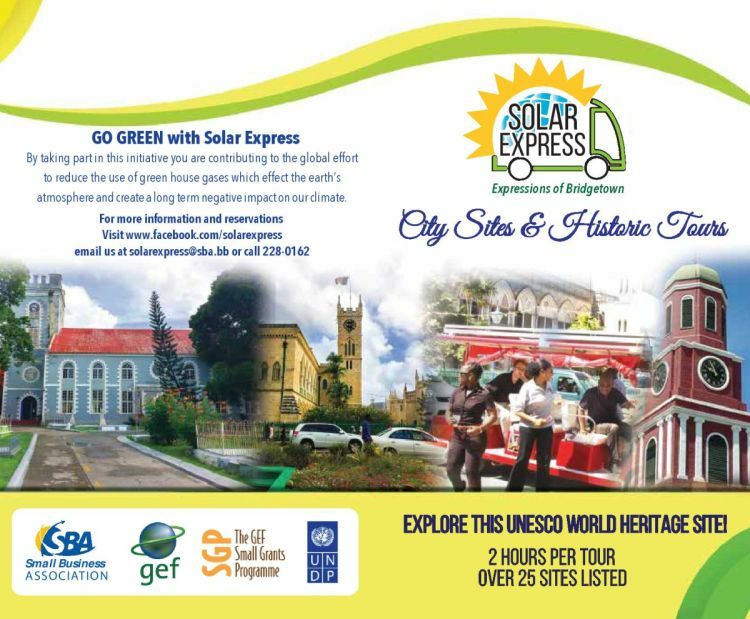 The Solar Express Tour is an initiative of the Small Business Association of Barbados funded in part by the GEF Small Grants programme of the UNDP, and is aimed at increasing awareness of sustainable transport in Bridgetown. Bridgetown is the capital of Barbados and a UNESCO World Heritage Site. It is the largest city, chief port and main commercial hub on the island. 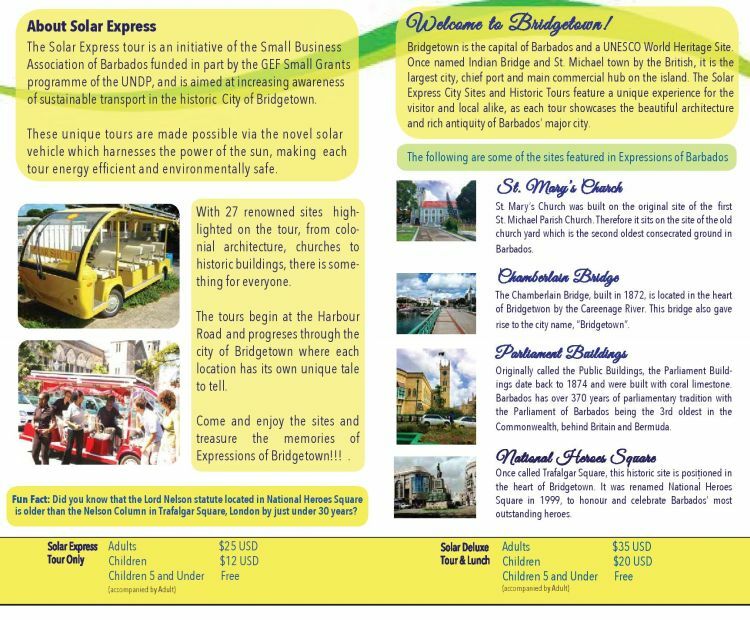 The Solar Express City Sites and Historic Tours feature a unique experience for the visitor and local alike, as each tour showcases the beautiful architecture and rich antiquity of Barbados’ major city. With 27 renowned sites highlighted on the tour, from colonial architecture, churches to historic buildings, there is something for everyone. Tours are available Mondays, Wednesdays and Fridays. Call 228-0162 or email solarexpress@sba.bb to book your tour.